Drainage engineers from Lanes Group plc have carried out high pressure water jetting to clean tanks at an electricity sub-station for a giant off-shore wind farm in the North Sea. The tanks have been installed to collect and store surface water run off at the sub-station near Wisbech, in Cambridgeshire, which serves the Race Bank wind farm 17 miles off the coast of Norfolk. 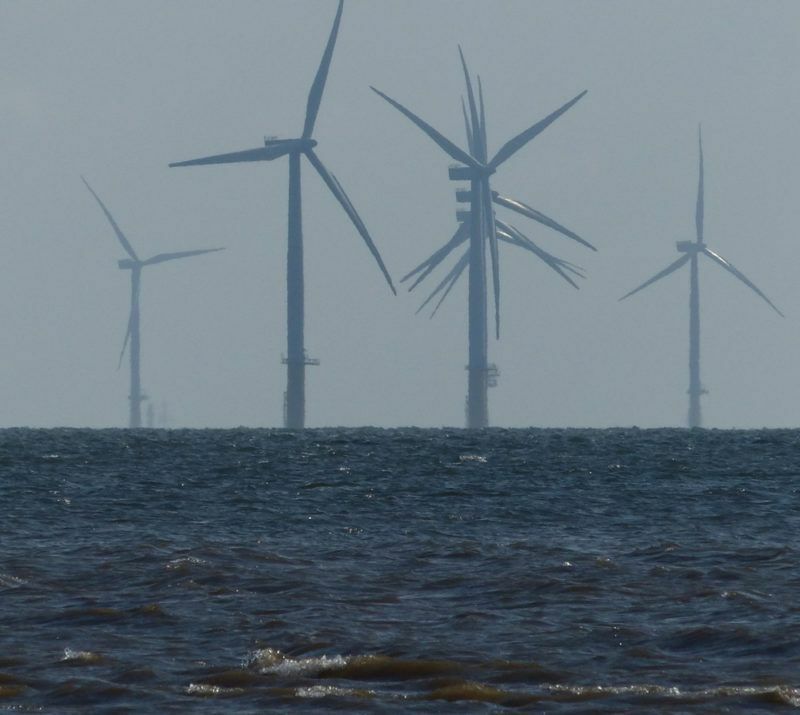 When fully-operational, the 573 Mega-Watt wind farm, owned by Danish utility company Orsted, will have 91 turbines and capacity to generate electricity for 400,000 homes. Engineering and construction firm J Murphy & Sons, which built the sub-station, commissioned Lanes to clean the newly-installed water tanks which form part of the site’s drainage management system. In a two-week programme, a team of six drainage engineers from the Lanes depot at St Neots, in Cambridgeshire, cleaned the two plastic tanks, which are 4m wide and 5m deep. Lanes Site Supervisor Aaron Dunkley said: “The tanks are of a significant size to give appropriate flood protection for a strategically-important energy generation facility, and to allow regulated discharge of the water into local water courses. “They needed to be cleaned before being commissioned to remove silt and other debris that may have collected in them during the construction process. All team members had to pass a site-specific electricity substation safety test. Once on site, they could only operate in designated areas, with stationary vehicles connected to earthing points. Before the tanks could be cleaned, water that had already collected in them was vacuumed out and taken to an authorised waste site in articulated tankers, with 15 full loads removed in total. Confined space entry procedures involved one water jetting operative being lowered into the tank on a tripod winch, then remaining permanently attached to fall arrest and retrieval block. A surface operative monitored the cleaning operation, with a two-person rescue team standing by. Water from one of Lanes’ fleet of recycler jet vac tankers was used to clean each tank with a water jetting lance operating at up to 3,000 pounds per square inch, with waste water vacuumed out of the tank at the same time. Recycler units can filter and reuse their water. This reduces water consumption, which improves sustainability, and supports longer periods of continuous cleaning, increasing productivity. Finally, Lanes provided J Murphy & Sons with photographic evidence of the cleanliness of the tanks, contributing to the assurance its client, Orsted, needed as part of the asset handover process.